Amongst the glories of Winchester Cathedral, there is a chantry chapel of outstanding beauty and magnificence. The man who is buried there, and for whom the roof bosses provide a rebus clue, is Thomas Langton, who died of plague in 1501 only days after being elected by Henry VII as Archbishop of Canterbury. Earlier, he had served as the Bishop of Winchester (1493-1501), Salisbury (1484-93) and St. David’s (1483-84), and acted as a servant to three — or four, depending on how you count — English kings. As the information plaque at Winchester Cathedral succinctly announces, Langton had been a chaplain to Edward IV and Richard III, and Ambassador to France and Rome. Sir George Buck (1560-1622) faithfully served two English Monarchs in a distinguished career spanning forty years. He was variously a sailor, soldier, diplomat, courtier, Member of Parliament, member of the Privy Chamber and last the King’s Master of Revels from 1610 until shortly before his death in 1622. He was also a noted antiquarian and highly regarded by other leading scholars of his day. The duke of Buckingham thought he was one of the few scholars qualified to compose an English Academy. In addition, he was an author who wrote seriously about serious subjects. He published a number of historical treatises and other works, some of which are no longer extant. Those that we have show him to be a conscientious and thorough researcher and a learned scholar. His work in the Revels office is testament to his literary and gentlemanly qualities; during his tenure he made regulations and strictures about profanity, blasphemy, religious controversy, the presentation of royalty on stage and politically sensitive issues. And yet his notoriety is derived chiefly from the publication in 1646 of his magnum opus, the History of King Richard III, which for convenience I shall call ’Buck’s History’. My idle curiosity about Buck was first aroused by something Paul Kendall wrote in his biography of king Richard III. His poor opinion of Buck’s History seems so incongruous compared to his good opinion of the author and his historical achievement that the circumstances are worth quoting in full: “The first substantial assault [on the Tudor tradition] was delivered about the same time by Sir George Buc (sic), Master of the Revels to king James I and a man of considerable learning and industry, one of whose ancestors had fought for Richard at Bosworth Field. His “History of King Richard III in five books, first published in 1646 and then included in White Kennett’s ‘ Complete History of England’ 1710, is so desultory in organisation as to make for grim reading; it is blundering and uncritical, and as prejudiced in its direction as the tradition it attacks. Yet it is Buc (sic) who first makes use of the manuscript of the Croyland Chronicle to point out some of the inaccuracies in Vergil and More, who seeks sources more nearly contemporary with Richard than the Tudor writers, and who was the first to reveal that the tradition was not inviolable.”, Kendall referred to Buck again In his introduction to the ‘Great Debate, describing him as a Yorkist partisan and his History as ‘cumbersome and capricious’. I was at a loss to understand how a man of such learning, industry and achievement could write something so dreadful that Kendal thought it desultory, blundering, uncritical, prejudiced and capricious. Sadly, idleness and not curiosity got the better of me. I did not bother to read Buck’s History until after the discovery of king Richard’s grave in 2012. The recovery of his earthly remains re-awakened my long dormant interest in his life and times. I soon realized that almost every historian who bothered to write about Buck’s History in the three centuries since its first publication shared Kendall’s disdain for it. The list of its faults and deficiencies is far too long for me to catalogue here. At the very least Buck is accused of partiality, of singularity and of being a professional panegyrist. His professional competence and integrity have been attacked by implications that he fabricated evidence and misread his sources. The consensus of historical opinion is that Buck’s History’ is worthless. The sharp contradiction between the good opinions of Buck’s learning and industry and the denigration of his History raises a literary conundrum, which I hope to explain in this piece and thereby showing why Buck’s reputation as a careless and irresponsible historian is undeserved. Dr Arthur Kincaid has no doubt that “ The picture which critics over the intervening centuries have handed down to us of Buck as a careless and irresponsible scholar has attached to him accidentally from two major causes. The first is the carelessness of those who wrote about him and did not seek far enough for his sources.” I pause there simply to point out, as Kincaid does, that there may be many genuine reasons why documents referred to by Buck are no longer extant or cannot be found: fire, vermin and other calamities may have destroyed or damaged some documents, and miscataloguing might result in others being lost, It is worth also briefly referring to one example of the “extraordinary carelessness” of a t least one twentieth century historian when criticizing Buck. It concerns AR Myers’ introduction to the 1973 reprint of the 1646 Edition. Myers gives three examples of what he says is Buck’s unreliability. The first, is an assertion that Buck omitted ‘the crucial’ Latin word (violenti) when quoting from Croyland. Kincaid contends that quite apart from the question of whether ‘violenti’ was a crucial word in the context of Buck’s point, Myers fails to explain that there is no way anybody can ascertain whether Buck actually did exclude the word, since the section of the original manuscript where it would have appeared has been burned away. Myers second point is, in Kincaid’s opinion, “ so blatant an example of either carelessness or perversity on Myers part that it vitiates anything else he may have to say. It is a claim that Buck ‘quotes a statement from Camden that no one has seen since’.” Kincaid comments that, leaving aside the impossibility of proving that ‘nobody has seen a document’, the statement from Camden’s ‘Britannia’ to which Buck referred “ can be most easily be located in that work by looking-up ‘Richard III’ in the index and turning to the page number there listed.” It seems that Myers had not even bothered to check Camden’s ‘Britannia’ for himself. Myer’s third point cannot be investigated, since he cites an incorrect page number. Another notable feature of Buck’s History, which his critics fail to mention is that of the many hundreds of sources he has cited only a handful remain unaccounted for. However, in Kincaid’s opinion: “by far the worst damage to Sir George’s scholarly reputation derives from the amazing alterations made to his work by the mysterious George Buck, Esq., who in the year 1646, twenty-four years after the author’s death published a truncated and heavily revised version of the ‘History’ under his own name.”  One gets a feel for just how truncated the 1646 edition is from the fact that it is less than half the length of Buck’s original. As usual, the devil is in the detail and Kincaid goes to considerable lengths to examine that detail.. I can only summarise the changes. Some are stylistic and the work benefits from these since the original tends to verbosity and lacks “grammatical subordination”. Unfortunately, the substantive revisions went too far; brevity was achieved only by drastically summarising important material. The result is a loss of nuance and a briefness that undermines the effectiveness of Buck’s arguments. Any criticism of John Morton is softened. Much of the marginal documentation (equivalent of today’s footnotes) is either omitted altogether or copied incorrectly. Information that Buck obtained by word of mouth (e.g. from the antiquarian John Stow) is reduced to the status of hearsay. Printing and copying errors abound and the younger Buck’s florid style masks the sense of the Buck original. The list of defects goes on. A good example of the damage done to Buck’s original can be seen in the treatment of the famous letter from Elizabeth of York to the duke of Norfolk in which, inter alia, she expressed her concern that Queen Anne would never die. In his original manuscript, Buck is responding to the accusation that Richard murdered his wife and afterwards proposed marriage to his niece, Elizabeth. He offers this letter as a supplement to his main point that Richard had no reason to murder Anne if he wished to re-marry; he could have divorced her. The letter is merely indicative of Elizabeth’s youthful naivety in not realizing that a man did not need to kill his wife in order to re-marry. In the original, this letter is not offered as proof positive of anything. In the 1646 edition, the context of Buck’s original discussion is changed. Now, the emphasis is on the accusation that Richard proposed marrying Elizabeth after murdering Anne and that Elizabeth detested the prospect, as if these were the main points to be disproved. The younger Buck then cites the letter as evidence disproving them. Regrettably, he fails to mention that the Sir George Buck had actually seen and read this letter, which was shown to him by his patron Thomas Howard, earl of Arundel, a descendant of the Duke of Norfolk. It was a crass misrepresentation Buck’s original argument and an omission that would cause later historians to question his integrity. The truth is that Scholars have known of the existence of Buck’s original manuscripts for centuries. However, they seemed to have casually assumed that the original and the printed edition were so similar as not to matter. It wasn’t until the first quarter of the twentieth century that Frank Marcham, whilst writing of Sir George Buck, suggested that “ because ‘the edition of 1646 is nearly worthless,’ and the original ‘contains a good deal of interesting information on literary matters’, the History’ should be carefully edited’”. In the last quarter of the twentieth century Dr Arthur Kincaid produced such a work. His modern edition of Buck’s original manuscripts is both scholarly and comprehensive. From it we get a much more accurate appreciation of Buck’s contribution to the Ricardian narrative and his historiological achievement. Although Buck was naturally sympathetic to Richard, he approached his ‘History’ like a defence lawyer: on the basis of evidence where it exists, and where it does not exist he attacks the prosecution’s lack of evidence. If he cannot exonerate Richard, he mitigates on the basis of precedent or raison d’état. His prolixity, which some complain of, is deliberate. It is a lawyerly characteristic, which though annoying to those who like a more analytical style, has the virtue of ensuring comprehensiveness by providing facts with explanation, thereby reducing the risk of misunderstanding caused by a casual précis. For example, Buck believes he has already produced sufficient evidence to prove that Perkin Warbeck is actually Richard duke of York. However, more evidence is available if required, which from an abundance of caution Buck includes (abundans cautela non nocet). 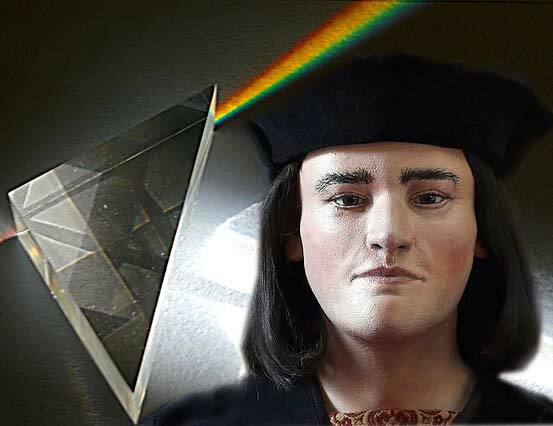 This was the method by which he constructed Richard’s defence and it was his thoroughness that enabled him, for instance, to be the first historian to recognize the irony underlying Sir Thomas More’s own History of king Richard III. Nonetheless, it is true that sometimes he allowed his enthusiasm too much scope; his long genealogical digressions add nothing to the Richard’s defence. The criticism that his style is pedantic is probably justified. Buck’s research is truly extensive. He uses classical and religious sources as well continental ones, which he deploys as evidence or precedents. For example, when he is arguing that the historic judgment of Richard is unduly harsh compared to the judgments passed on other kings who committed the same or worse acts, he uses Henry IV as an example of a king with a good reputation who actually deposed an anointed king and usurped the crown. Of the Tudor sources, he relies primarily on Thomas More and Polydore Vergil, supplemented by cross-references to the likes of Rouse, Fabyan, Grafton, Hall and Holinshed. He also trusted his friend, the antiquarian and historian, John Stow who was a discerning and relatively objective source with whom Buck could discuss his work. Buck’s best contribution to the Ricardian debate is his use of the second continuation of the Croyland Chronicle to undermine the veracity of the Tudor tradition. The importance of Croyland lay in its independence from Sir Thomas More and the official Tudor sources. Buck was also the first to use Titulus Regius to prove both More and Vergil wrong about the basis of Richard’s title to the crown. His documentation was methodical. He indicated in the margins of his manuscript all his primary sources and their whereabouts. He made a point of seeing sources for himself; where that was impossible, he quoted trusted colleagues who had seen the relevant source (e.g. Sir Edward Hoby who had seen Morton’s polemic). His handling of Thomas More is an indication of his critical alertness and advocacy skills. He was the first historian to realise that More writes ironically and that if one ignores the irony and takes the statements seriously, a more sympathetic picture of Richard emerges; one that is much more in accord with the objective records we have of his life and reign. For example, in the scene where Buckingham, with the citizens, begs Richard to assume the crown for the common good, More writes: “These words much moved the protector, which else as every man may wit, he would never in likelihood have inclined to the suite.” In writing this, he means the opposite. He is writing with what Kincaid calls a ‘knowing sneer’ at Richard’s dissimulation. Buck habitually disregards the sneers, and quotes More as if he wrote in all seriousness. By this means, he uncovers the basic matrix of fact upon which More’s History is based. As Kincaid writes: “The facts remain stable; only the interpretation varies, as Buck demonstrates. More chooses to attribute to these facts vicious motives, Buck to apply charity. Any good deed, Buck says, may be depraved by a foul interpretation.” Nonetheless, and despite his undoubted accomplishments, it would be wrong to think that Buck was perfect, because he wasn’t. He made mistakes; some were inconsequential, others were crass but none were dishonest or malicious. He got into a muddle about Bishop Stillington’s part in the pre-contract scandal. Having quoted Commynes that it was Stillington who told Richard that his brother’s marriage to the widow Elizabeth Grey was bigamous because Edward was already married to another English lady (Lady Eleanor Butler, nee Talbot), he got the chronology wrong. In Buck’s History, The Talbot family complained to Stillington about the wrong done by Edward to Lady Eleanor and her family, and sought redress. 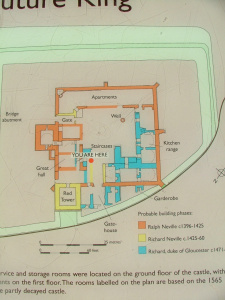 Stillington agreed to intercede with the king on their behalf; however, he was afraid to speak to Edward direct and raised the matter with Richard, then duke of Gloucester. Buck describes what happened next: “…the duke of Gloucester dealt with the king about this business, but he could do no good for all the affect thereof was naught, and that was that. The king grew exceedingly wrath with the bishop of Bath for revealing his marriage.” The outcome was a bad one for Stillington as he was disgraced and imprisoned; although, “not long after king Edward died.” Dr Kincaid cannot say where Buck got this story. He suggests that it may have been something Stow (or somebody like him) had said or he may have constructed a plausible chronology from the few known facts, or he may simply have been “indulging his taste for elaborating dramatic scenes from meager suggestions.” Be that as it may, Buck’ s account is hardly credible since his own source, Commynes, makes it clear that Stillington told Gloucester about the pre-contract after the death of king Edward IV. It would be equally wrong to ignore the allegation that Buck is biased. Kendall thought he was. In his Ricardian biography he said Buck was prejudiced; later, he called him a Yorkist partisan. The fact is, Buck is not a disinterested observer: how could he be? He came from a Yorkist family. His great grandfather was wounded at Barnet and killed at Bosworth fighting for Yorkist kings. His grandfather and his father had been taken under the wing of the Norfolk Howards who were also Yorkists by affiliation and temperament. Buck’s dislike of John Morton has an edge of loathing that only a confirmed Ricardian could replicate. He makes his views known in the opening paragraph of Book three: “…some politic and malicious clerks hating king Richard and seeking to be gracious to his enemies employed their wits and their pens to make king Richard odious and abhorred, and his memory infamous forever…for this purpose they devised and divulged many scandalous reports, and made false accusations of him. And they made libels and railing pamphlets of him…And so vehement and constant they were in their malicious prosecution thereof, as that they did not only defame and belie him in his lifetime, but as farforth as lay in them, they persecuted even his shadow and his ghost and they scandalised extremely the memory of his fame and name.”  However, despite his personal aversion to Morton, Buck remains true to his own creed and uses only evidence, particularly Titular Regius and the virtually contemporary second continuation of Croyland, to prove the factual errors of the Tudor tradition. It is not essential for my limited purposes to consider the question, of who wrote More’s History. However, it is a loose end, which in an earlier post I promised to deal with. We need not doubt that Buck believed that Morton wrote a polemical ‘book’ in Latin about king Richard. We have Buck’s word for it in a passage wherein he describes Morton as “…a good clerk who made his pen the weapon and instrument of his malice and of his rancour and of his hatred. And for this purpose he made a book in Latin of king Richard and reported his acts and charged him with many foul crimes and aggravated them. And on the other side he extenuated or suppressed all his virtues and good parts. And this book of Dr Morton came afterwards to the hands of Mr More.” Neither, should we doubt that Buck thought that More had edited and adapted Morton’s book and added a bit to it before publishing it; we have Buck’s word for that also, in a subsequent passage: “…and this More having been a servant of Morton…accordingly, he translated and interpreted and glosed (sic) and altered his master’s book at his pleasure, and then he published it.” And we cannot doubt that Morton’s book existed, since Buck’s closest friend Sir Edward Hoby (1560-1617) told him so. In a marginal note to his original manuscript Buck wrote: “This book was lately in the hands of Mr Roper of Eltham, as Sir Edward Hoby, who saw it, told me.” These comments and other circumstantial details have raised doubts about the authorship of More’s History (I shall continue to call it that) in the minds of some historians. I will deal with the last point first since it is a non sequitur. The fact that More could not have been present at some of the events he describes does not prove he was not the author. It serves only to confirm that he was not writing as an eyewitness. Harrington’s comment and Buck’s note in Godwin can be dealt with equally briskly since neither comment is proof of Morton’s authorship. In fact, they both emanate from the same source. Sir Edward Hoby was a fried of Harrington and buck’s closest friend: he is almost certainly the source for both these comments. The evidence against Morton’s authorship when taken together is almost overwhelming. First there is the objection that he could not have written any of the extant versions of the texts, since they contain details of events that took place after his death in 1500 (e.g. Tyrell’s confession in 1502). There are also stylistic similarities between More’s History and his other literary works, which suggest he is the author. Sylvester suggests “ …the man who could describe Pico’s complexion as ‘entermengled with comely ruddes’, was probably the same man who described Jane Shore walking through the streets of London’ while the wondering of the people caste a comely rud in her cheeks.” Of course, this argument by analogy might be inconclusive were it not supplemented be the testimonies of Halle (1458) and Bab (1557), A Scham (1552) and Harpsfield (1556) along with Rastell and Stapleton (1588) who all acknowledge More as the author. Fortunately, Sylvester has an explanation that is much more sensible. He argues that Morton was an important source for More but he was not the only one. More may well have used part, or all, of Morton’s uncompromising tract as a source of information but he did not incorporate it wholesale and claim credit where it was not due. Such an opinion is not inconsistent with what Buck says himself. It is noteworthy also that More’s History was never finished, which may explain why he never mentioned it. He never mentioned any of his other literary works so why would he bother to mention an unfinished manuscript? It is impossible to escape the conclusion that More probably only used Morton’s polemic tract about Richard as a source of information in his own work. The solution to this literary riddle is now obvious to me. The criticism aimed at Buck and his History is based on what is a fake copy of his original, which was cobbled together well after Buck’s death. On that basis, the criticisms are justified since it is not even a good fake. However, now that original manuscript of Buck’s History is easily accessible in the form Buck intended, we get a much better idea of its merit and its flaws. As a defence of king Richard it is undoubtedly showing its age. Not only are Buck’s language and his writing style three hundred years out of date, he got a few things wrong. His History has been overtaken by the march of time and the discoveries made about Richard’s life and reign, about which Buck could never know. Nevertheless, Buck’s achievement is impressive. He was the first Ricardian to use the second continuation of Croyland and Titular Regius to prove the falsehood contained in More’s and Vergil’s histories. Not only that, but the core of his defence of king Richard still forms the basis of Ricardian literature today. That is not to ignore Buck’s weaknesses: he was partial, he made mistakes and he loathed Richard’s accusers. He was the unashamed defence lawyer who believed passionately that his client’s had suffered a historical injustice and that his reputation was worth defending. However, he built that defence on evidence rather than innuendo, gossip and rumour. AE Kincaid – Dictionary of National Biography online version. Kincaid pp.cxii-cxiii; of the many hundreds of Buck’s sources, Dr Kincaid identifies eight (“not counting commonplace books and collections of proverbs”), which cannot be found. Of these eight, less than half are of material importance. They are: (i) the letter from Elizabeth of York to the duke of Norfolk concerning her marriage, which Arundel showed to Buck, (ii) a polemic tract about king Richard written by Morton and reputedly the source of Sir Thomas More’s ‘History of Richard III, which was seen by Sir Edward Hoby and (iii), ‘an old manuscript book’ referencing a plot by Morton and Margaret Beaufort to poison the Princes. J Petre (Ed) – Crown and People (Richard III Society 1984) p247. (Crown and People). George Buck Esq was Sir George Buck’s nephew. he was a man of straw and bad character who came into possession of Buck’s original manuscript following a dispute over Buck’s will. Nephew George published Buck’s History as his own, along with some of Buck’s other writings. Kincaid at chapters 5 and 6, pp. Ixiv-ci; Dr Kincaid examines most, if not all the relevant changes to Buck’s text and sources of criticism in a detail I cannot emulate. Crown and People, p249; it is possible that Buck’s main reason for mentioning the letter was to compliment Arundel on his wonderful collection of documents; perhaps he shouldn’t have bothered. Correspondence between Dr Alison Hanham and Dr Arthur Kincaid in the pages of the Ricardian during 1987 and 1988 has raised the possibility that Buck had himself misunderstood the letter. Dr Kincaid has suggested that Elizabeth was indeed referring to her ‘hoped-for marriage’, but not necessarily with king Richard. Buck may have confused ‘mediating with the king’ for ‘marriage to the king’. The judicious placement of a comma makes all clear. See Annette Carson – Richard III: the maligned king (The History Press 2013) at pp. 297-303 for a comprehensive discussion and analysis of this point and also Dr John Ashdown-Hill – The last Days of Richard III (The History Press 2010) at pp.32-33 for a discussion of Richard’s negotiations for a Portuguese marriage after Anne’s death. Kincaid at p xcix, citing Frank Marcham – The King’s Office of the Revels 1610-1622 (London 1925) at p3. Phillip Commynes: memoirs (Penguin 1972) at pp.353-354. Kincaid p304, notes 183/44-184/9; there is nothing to substantiate the story that Stillington revealed the pre-contract to anybody before Edward’s death, or that his imprisonment in 1478 was due to his knowledge of the pre contract, or for revealing it to Clarence. The bishop’s imprisonment may have been due to an association with Clarence, as suggested by Kincaid. But it is more likely to have been for his criticism of the lack of due process at Clarence’s trial. See also MA Hicks – False, Fleeting Perju’d Clarence (Alan Sutton 1980) at pp.183-184. For a different theory see John Ashdown-Hill – The Third Plantagenet (The History Press 2014) at pp.141-146. Kincaid p120; Kincaid suggests that Buck’s dislike of Morton may have been exaggerated to deflect blame from Henry VII, from whom James I was directly descended. He overcame his difficulty by flattering James about his ancestry. By this means Buck achieves two things. 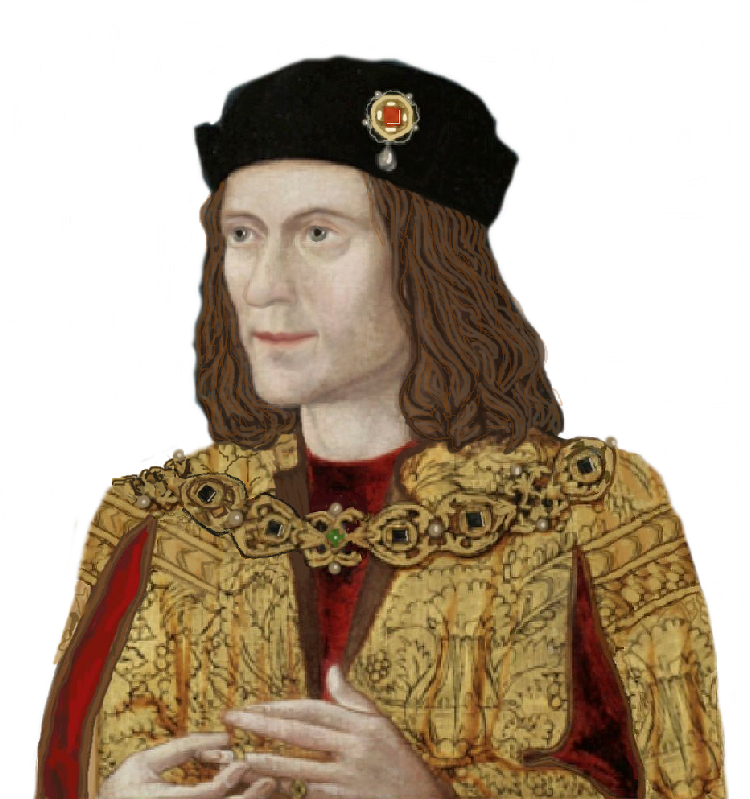 First, he establishes that the breach in the English succession caused by Edward IV’s marriage, was repaired by Richard III and second he restores Richard to his proper place in history by not depicting him in his traditional role as the disruptor of the succession but as the restorer of it. Having recently visited some of Richard’s holdings in the north of England such as Penrith Castle which he was given after the death of Richard Neville, Earl of Warwick in 1471, I wanted to write a short piece about his role as Lord Warden of the West Marches and Sheriff of Cumberland (1476-1482) and his involvement in the complicated story of the border town of Berwick-on-Tweed which led to its thirteenth and final change of hands when he successfully took the castle on 24th August 1482. Plan of Penrith Castle showing the phases of building by the lords who owned it in their preparation for ‘effectual measures against the Scots.’ (Ferguson, A History of Cumberland, 1898, p.238) The blue areas were built during Richard’s tenure when he used Penrith as a base as Lord warden of the West Marches.